As a woman, you must be aware of the different stages that a female body goes through during its lifetime. Starting with puberty to menopause, there’s a lot that female body transitions through. While puberty is the stage when a woman becomes capable of sexual reproduction, menopause is just opposite to it. Menopause is a normal condition that all women experience. It is a stage when a woman stops menstruating, marking the end of her reproductive period. Usually, it begins in the late 40s or early 50s for most women and lasts for a few years. During this time, women experience symptoms of menopause, such as hot flashes, night sweats, mood swings, irritability and tiredness. Furthermore, menopausal women are at a higher risk of developing several diseases including osteoporosis, obesity, heart disease and diabetes. 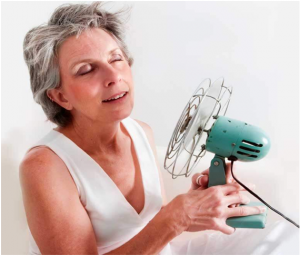 How to Ease the Symptoms of Menopause? When trying to reduce menopause symptoms, you know it’s all about balancing the hormones. Hence, make your diet healthier and fill it with plenty of essential minerals and healthy fats. Eating healthy keeps your body strong, keeps a check on your health, and above all helps manage your symptoms. Incorporate fruits and vegetables, cruciferous vegetables,high-fiber foods, Omega-3 fats and probiotic foods into your meals. Foods that are high in carbohydrates and processed sugar can lead to an imbalance in the hormones. Plus, consuming packaged food, foods high in sugar, and fried foods can cause weight gain, digestive problems, and other associated problems. These foods are known to cause high imbalances in hormones and increase the menopausal symptoms. Dryness is another common symptom that women experience during menopause and is likely caused by the decrease in estrogen levels. Drinking 8 to 12 glasses of water a day can help with these symptoms. Additionally, drinking water can also reduce bloating which occurs due to hormonal changes. Anxiety, mood swings and bouts of depression during the menopause, is often seen in women. Managing stress and depression is one important way to reduce symptoms. Some effective ways to relieve stress include exercise, acupuncture, meditation, aromatherapy, spiritual practices, etc. Exercising daily can help lower several risk factors associated with menopause complications, such as gaining weight and becoming obese, inflammation, insomnia, experiencing bone loss or muscle wasting, and stress. Research suggests that both excessive stress and poor sleep are linked with higher levels of morning cortisol, lowered immunity, low productivity, and a higher susceptibility to anxiety, weight gain and depression. To allow your body to recover from the symptoms, try to get 7-9 hours of sleep every night. Menopause is just a phase of life and not a disease, so never perceive it that way. It’s a time to show some love and care to your body. And if your symptoms are too severe, seek medical advice.